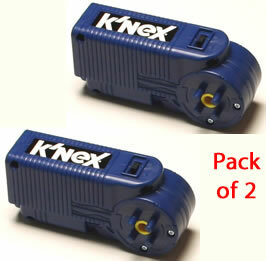 Pack of two blue K'NEX motors. Medium speed - 34rpm. As used in many K'NEX education sets, for motorised vehicles, etc. Requires two "AA" batteries (not included). Please note that we sell these motors individually.